THIS SET IS NOT AVAILABLE FOR HOLIDAY DELIVERY! The Chicago Cubs are Back to Back Division champs for only the second time in franchise history! 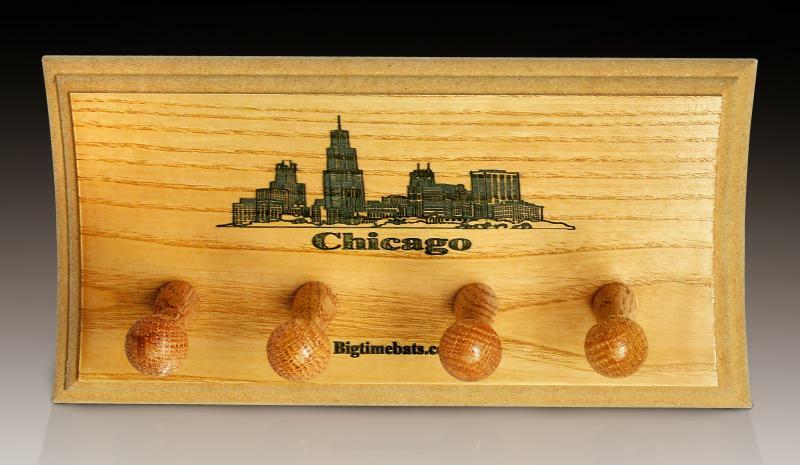 To honor the team's great achievement we are pleased to offer friends a special Two Bat Set featuring the NL Central Champions Signature Bat from both seasons AND a special Chicago Skyline Two Bat Display Rack. 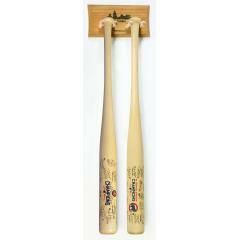 Both bats feature the Cubs iconic logo and the facsimile signatures of the players from each season. The custom Skyline two bat rack is laser etched and hangs easily on any wall, allowing fans to display this set with pride. Order your set today and celebrate the 2017 NL Central Championship while reliving the glory of the 2016 Championship Season. Due to the unique nature of this offer we must charge your credit card for the full price immediately upon taking your order. This policy ensures we reserve a set for you. We will confirm your order by Email. These bats are not game used. Please allow 4 to 6 weeks for delivery. 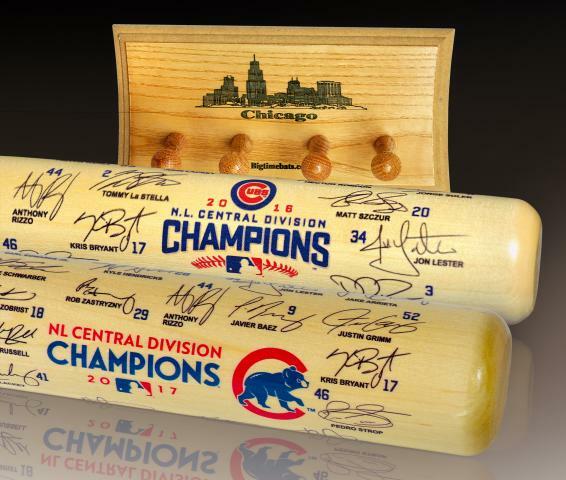 Cubs '16 & '17 Back to Back NL Central Champs 2 Bat Set with Display $259.95 Sold Out!